Disney’s The Little Mermaid Production – On April 27-28, 2018, check out The Little Mermaid at Central Florida Community Arts. Performances are being held at Cornerstone Charter Academy. If you’d like to win tickets, click here. Central Florida Community Arts Youth Theatre Troupe is proud to present the family-friendly musical, Disney’s The Little Mermaid, April 27 at 7 p.m & April 28 at 2 p.m and 7 p.m. Performances will be held at Cornerstone Charter Academy, located at 5903 Randolph Ave, Orlando, FL 32809. Originally produced by Disney Theatrical Productions, Disney’s The Little Mermaid is a story loved by all ages. In a magical kingdom “under the sea,” an adventurous young mermaid longs to leave her ocean home and follow her heart to the human world above – and into the arms of a handsome prince. Watch classic, hilarious, villainous, and heroic characters such as Ariel, Ursula, Sebastian, and Flounder come to life through members of the CFCArts Youth Theatre Troupe. The talented 36-member cast, comprised of third- through 12th-graders, will zoom by on in-line skates, wheeled Heelys sneakers, and even a unicycle while delivering show-stopping song and dance routines. Featuring colorful worlds and a rainbow of costumes Disney’s The Little Mermaid is sure to make audience members laugh out loud, tug on their heart-strings, and put them on the edge of their seats. Prior to the 2 p.m. matinee, Central Florida Community Arts will be hosting a one-hour Under The Sea Tea Party starting at 12:30 p.m. Guests can meet with Ariel, Prince, Eric, Flounder, and other favorite characters while enjoying deep-sea themed refreshments. 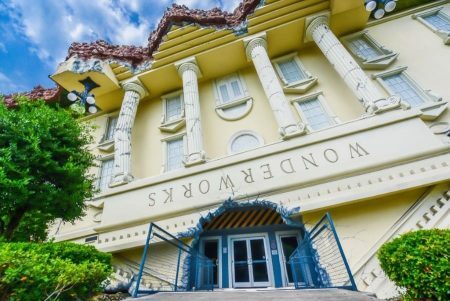 This separately-ticketed event features mermaid-themed coloring and crafting, face-painting artists, and a photo booth with festive backdrops, props, or the characters themselves. Tickets start at $10 for ages 13 and older, $5 for children ages 4-12, and are free for ages 3 and under. Tickets to the Under the Sea Tea Party are $5 per child. Disney’s The Little Mermaid is recommended for all ages. Tickets are available online at CFCArts.com/Mermaid or by calling the box office at 407-937-1800 Ext. 710. 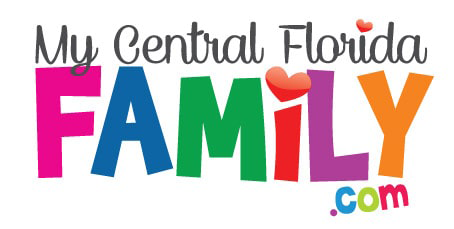 About Central Florida Community Arts – Central Florida Community Arts (CFCArts) is a nonprofit arts organization whose mission is to enrich the community’s quality of life by making the arts accessible and affordable for all. They provide an inclusive and welcoming creative platform where individuals can connect by joining an artistic family, perform for audiences across the socioeconomic spectrum, and use their talents to serve the community. The heartbeat of CFCArts is to give back to the community by partnering with local nonprofits and performing, for free, at their fundraisers or for the clients they serve. Learn more at CFCArts.com. Disclaimer: This Disney’s The Little Mermaid Production event is subject to last minute cancellations and changes which might not be reflected in this MyCentralFloridaFamily.com post. Please always confirm with this family-friendly business by calling or clicking.